So it's yet another week on Stan, which means it's time yet again to take a look at what's been happening on the streaming platform. Still pretty quiet in terms of television shows, what with the summer/winter break happening regardless of which hemisphere you're at. There is a new BBC mini-series in the form of Ill Behaviour, a relatively unknown comedy/drama with a very interesting premise. Again, more happening with movies, and this week's it's a big one. In fact, it's one of the biggest movies ever released (box office wise), and it's also the latest addition in the 'Avengers' series, Avengers: Infinity War. 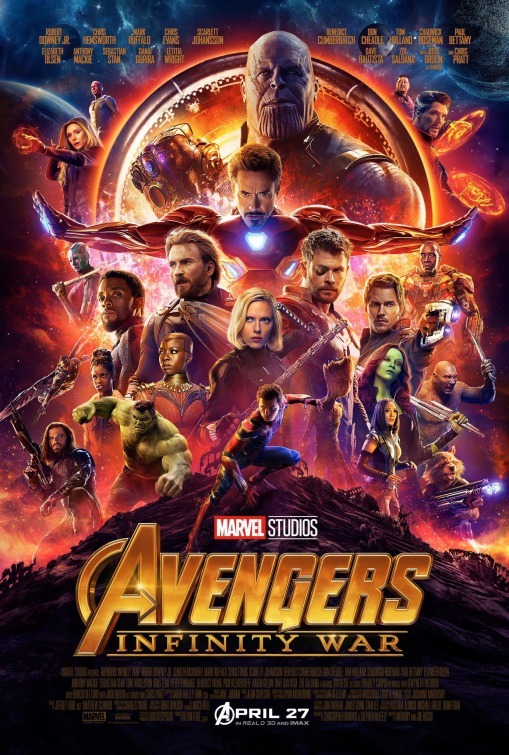 A somewhat darker toned film than the previous Avengers movies (and especially compared to Thor: Ragnorak, which this movie seems to directly follow, literally), this first part of a two-parter has been extremely well received and features even more Marvel superheroes than previous incarnations. Well worth watching! It's a well known cliche that remakes are rarely good, and unfortunately, the 2014 version of RoboCop doesn't break the mold. It's got stars, it's got better special effects, but there's a distinct lack of heart and dark, sarcastic humor that the original was very much well known for. Watch the far superior original and you might say "I'd buy that for a dollar! ", but it's actually free because the 1987 original is part of the Stan streaming library. And before they remake this one as well, catch the original Bad Boys and much worse Bad Boys II. The sequel might have been trash (and has been accused of everything from being misogynistic to racist), but as works by infamous director Micheal Bay, they're still light years ahead of his most recent trashy works, and feels almost constrained by comparison (and this is perhaps why his older films are better). And if you struggle to understand David Lynch films, then the documentary David Lynch: The Art Life might not help, as it focuses more on David Lynch, the painter. Still fascinating though!